Street photographer and storyteller extraordinaire Brandon Stanton is the creator of the wildly popular blog "Humans of New York." He is also the author of the #1 New York Times bestseller Humans of New York. To create Little Humans, a 40-page photographic picture book for young children, he's combined an original narrative with some of his favorite children's photos from the blog, in addition to all-new exclusive portraits. 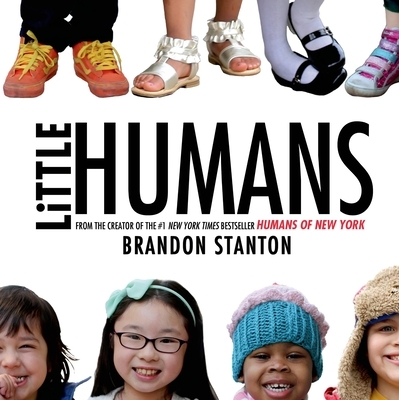 The result is a hip, heartwarming ode to little humans everywhere. BRANDON STANTON studied at the University of Georgia and worked as a bond trader in Chicago before founding Humans of New York in the summer of 2010. He has appeared on The Today Show and the BBC, has been featured in The Wall Street Journal, and his photos have appeared at Vogue.com and TheAtlantic.com. David Karp, the founder of Tumblr, called Humans of New York his favorite Tumblr blog. Stanton lives in Brooklyn, New York.